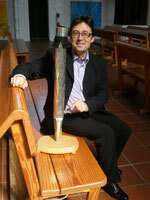 Warmly welcome to Churchmusic in Ribnitz. Working with People who like, as I do, taking part in a greater thing as we ourselves are, called music, is a pleasure. 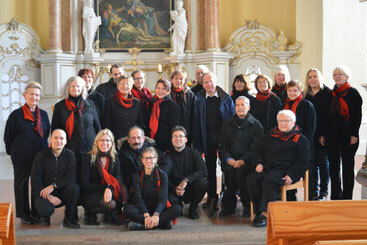 Choirs like "St. Marienkantorei" (traditionel Churchmusic, Sacro-Pop) and "Stimmfärberei" (secular music, sacro-Pop) and the young female Ensemble "Vox Mariae Ribnitz" and "Madrigalchor" (Concerts). Band with Keyboard, Flute, Drums, Singer, etc. Organization of the Concert series "Organsummer Ribnitz", of further education and the trip to Organs in the surroundings at the last Saturday in August. This a part of my work and my vocation.